has been telling me about her single, Don’t Give Up (she has just released the song, Wide Awake, alongside No Class), and how it came together. I ask her what we can expect from her upcoming E.P., Worthy, and which musicians are important to her; which three albums are important to her and how she got involved writing for other artists and T.V. placements. Szabo talks about her plans going forward and how important it is being on the stage; what she does when she is not making music; the rising artists we need to check out and get behind – she picks a classic song to end the interview with. Hi, Maggie. How are you? How has your week been? Hey there! My week has been great! I literally just landed in Amsterdam and am writing this at my friend’s dining room table at their home close to Vondelpark. My name is Maggie Szabo and I’m a recording artist and songwriter from a small town in Ontario, Canada but currently live in Los Angeles. Can you reveal the story behind your single, Don’t Give Up? How did that come to be? I was inspired by the lyric idea ‘don’t give up on love,’ and that’s where the song started. It’s a feeling we’ve all felt before and the lyrics and melody came very naturally. I wanted the lyrics to be really honest, which is where the first line of the verse came from: “Everyone knows this world isn’t perfect”. Once I finished recording the song, I knew that the video had to stand for something and I wanted it to stand for something I truly felt for. I decided I wanted to make a video that shed light on transgender issues particularly trans kids. So many trans kids are being discarded by their family and are forced to live on the streets. I wanted the spirit of the video to genuinely portray the story of a teenager struggling with their gender identity. It is from the E.P., Worthy. What sort of themes defines the E.P.? I named it Worthy because I wanted the E.P. to feel empowering. I want it to be a reminder that everyone is worthy. Which musicians do you count as idols? When did music come into your life? There are too many idols to name! Music came into my life at an early. Some of the first artists that I fell in love with were Carole King and Tracy Chapman. I really look up to them because they are such amazing songwriters and artists as well. Their lyrics feel really honest to me, so I think they had a huge influence on my writing growing up. I also sang in a Jazz band when I was a kid so Etta James definitely made an impact on me. I also love Justin Timberlake, Sia and John Mayer. You have written for other artists and for T.V. placements. Was there a moment that you knew you needed to concentrate on your own material? My own music has always been a priority for me but I have always loved writing for other projects. Songwriting makes me happy, no matter what it is for. It’s a very different feeling having someone else sing my material other than me because it’s such a great compliment and I truly feel honoured when someone else wants to use my music for their own. I try and balance both equally because some of my best material wasn’t necessarily written with myself in mind; it was more about just writing a great song. I have some collaborations coming out with some amazing D.J.s and I will also be releasing a Christmas song! I will also start planning ideas for a tour next year. I thought about this for a good few minutes…and I honestly can’t say I have one specific memory that is my favourite. Performances, being in the studio and landing in L.A. when I first moved here are all memories that will stick with me forever. Tapestry by Carole King; Continuum by John Mayer and Justified by Justin Timberlake mean a lot to me because they all contain some of my favourite material from my favourite artists. Nowadays, I don’t listen to full albums as much because now the music industry is more focused on singles - but I definitely spent a lot of time listening to those albums. Definitely Justin Timberlake would be someone I would love to support! If I could support him, I don’t care what my rider would be (smiles). If you want to pursue a career in music, be willing to sacrifice everything you have for it. I am playing on October 18th in Amsterdam as part of ADE and, on Nov. 4th, at the Palm Springs Pride! So important! I love feeling the energy of the audience in the room - it’s so inspiring. It’s also a great way for me to see what material people react to and that helps inspire my new music. 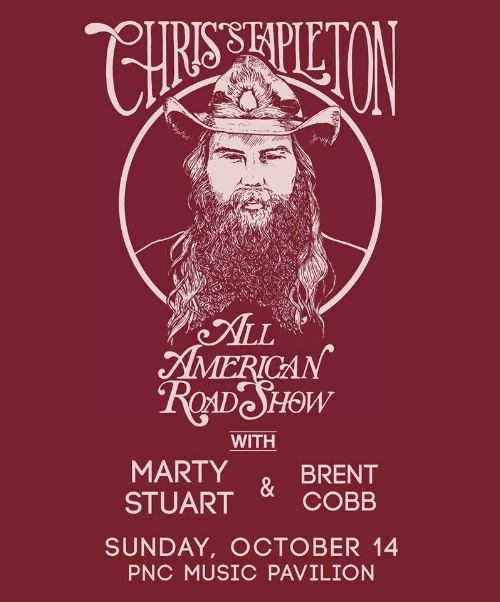 I’m sure you already know him, because he is mega-successful, but I have been listening to all of Chris Stapleton’s music. I work a lot in the EDM world, so some of the D.J.s and producers I work with in Europe aren’t super-familiar with his music, but I definitely recommend everyone listen to Stapleton’s songwriting; there is so much to be learned. I love health and fitness as it keeps me feeling good and it helps me to stay mentally focused on my goals. When I’m not in the studio, you can often find me in the gym or running outside listening to music! It's Too Late - Carole King!